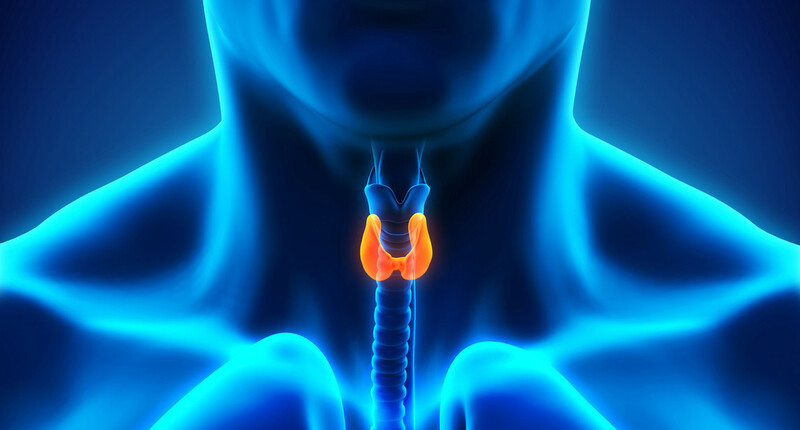 The thyroid requires iodine in order to function properly. Unfortunately, some people suffer from an iodine deficiency, which can affect thyroid function and lead to a variety of health problems. Your body requires iodine in order to produce normal amounts of thyroid hormones. Without the proper amount of thyroid hormones, you may experience problems with your metabolism, as well as other bodily functions. In younger people, a lack of thyroid hormones can also lead to problems with growth and maturation. In pregnant women, insufficient thyroid hormones can even affect the development of the baby. The human body cannot produce iodine on its own. Thus, all people must obtain the iodine they need from external sources. Foods that are rich in iodine include eggs, certain breads, meat, seafood and dairy products. Many people also obtain some of the iodine they need for proper thyroid function from iodized salt. The body’s supply of iodine becomes depleted when the thyroid uses more iodine than the individual is consuming. This may occur among individuals who do not consume iodine-rich foods on a regular basis. Iodine may also become depleted in individuals who have reduced their overall intake of salt, as well as those who have replaced iodized salt with kosher salt or sea salt. According to the U.S. Institute of Medicine, the daily recommended intake of iodine for adults and adolescents is 150 mcg per day. However, women who are pregnant or lactating need a significantly higher amount of iodine, with recommended daily values of 250 mcg and 290 mcg respectively. Thus, iodine depletion may occur among pregnant and lactating women who do not increase the amount of iodine in their diets in order to compensate for their elevated need. Iodine depletion leads to a number of symptoms and complications. However, this condition can typically be resolved simply by increasing the individual’s iodine intake. Individuals suffering from iodine depletion may choose to increase their iodine intake by eating foods that are known to contain iodine or by adding more iodized salt to their diets. However, because excessive salt has been connected to other health issues, such as hypertension, it must be used in moderation. When an individual is unable to recover from iodine depletion through dietary changes only, an iodine supplement may be beneficial. These supplements can provide the proper amount of iodine without the need for significant lifestyle changes.